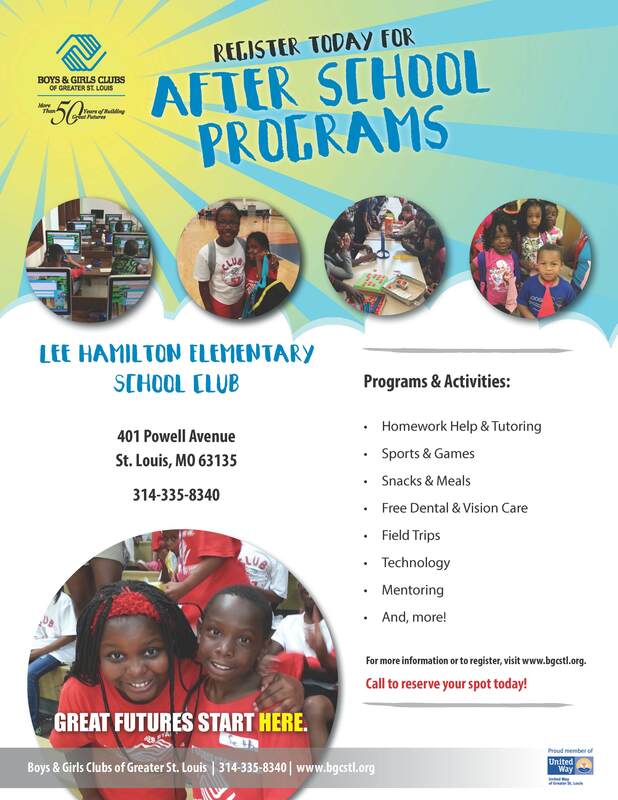 Boys & Girls Clubs offers youth, ages 6-18,an enriching and dynamic experience that will spark creativity, engagement,and exploration through a structured learning experience every day after school! 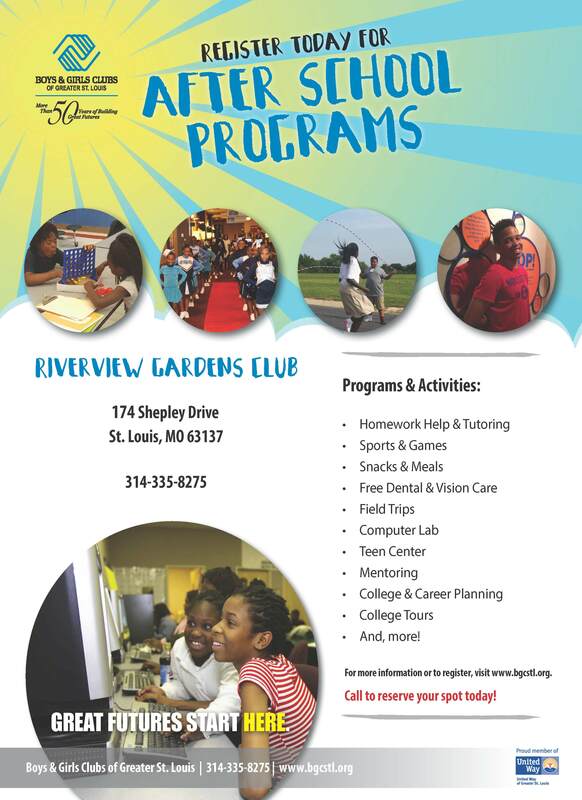 We have seven Clubs across St. Louis City & County to meet your needs (see flyers below). 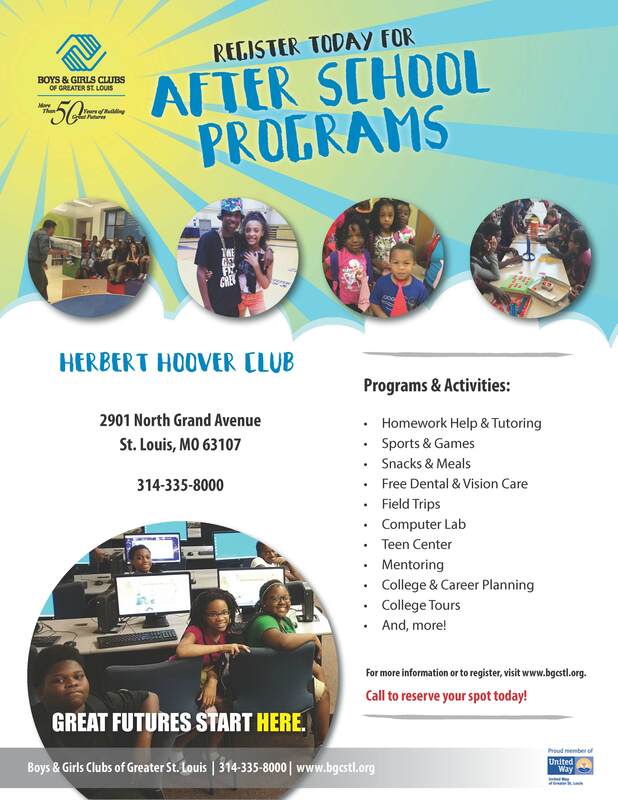 Membership in the Boys & Girls Clubs includes after school homework assistance, tutoring, college and career planning, recreational activities, leadership Clubs, free dental and vision care and healthy meals in a safe, supportive learning environment. 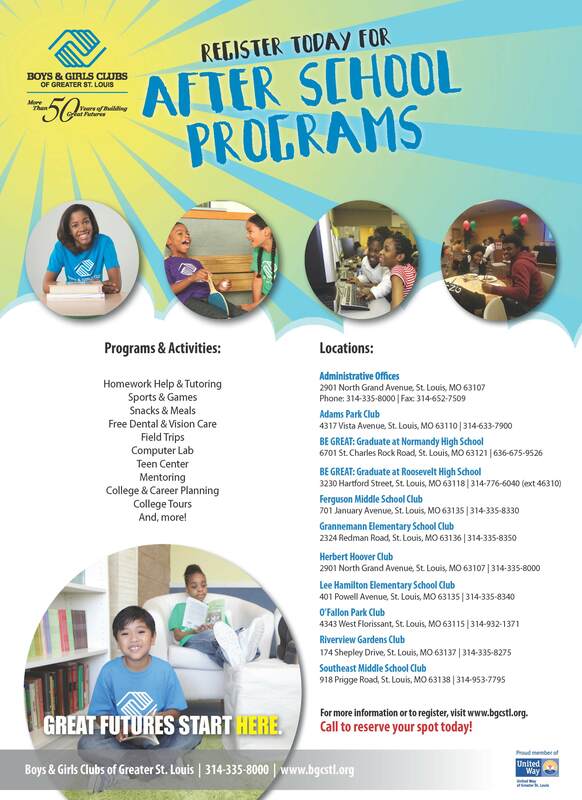 If you are not currently a member of Boys and Girls Clubs of Greater St. Louis, you must become one to benefit from these services. 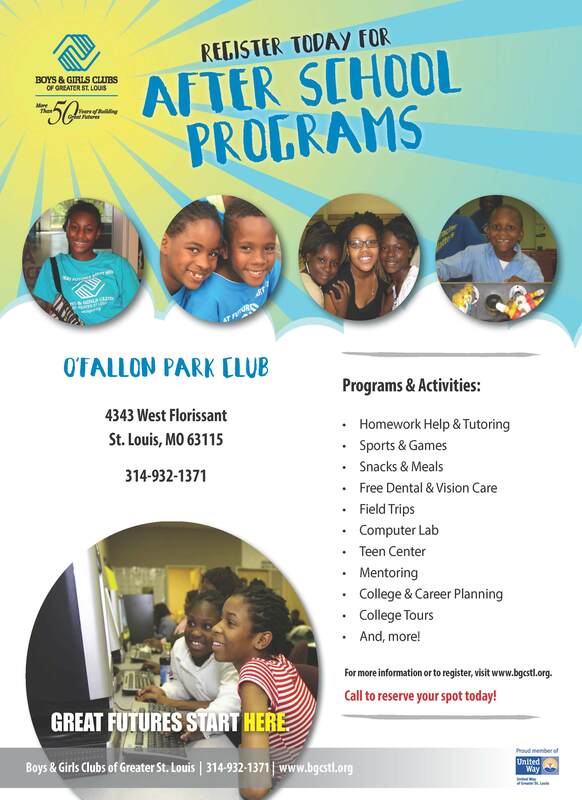 To become a member, click here. 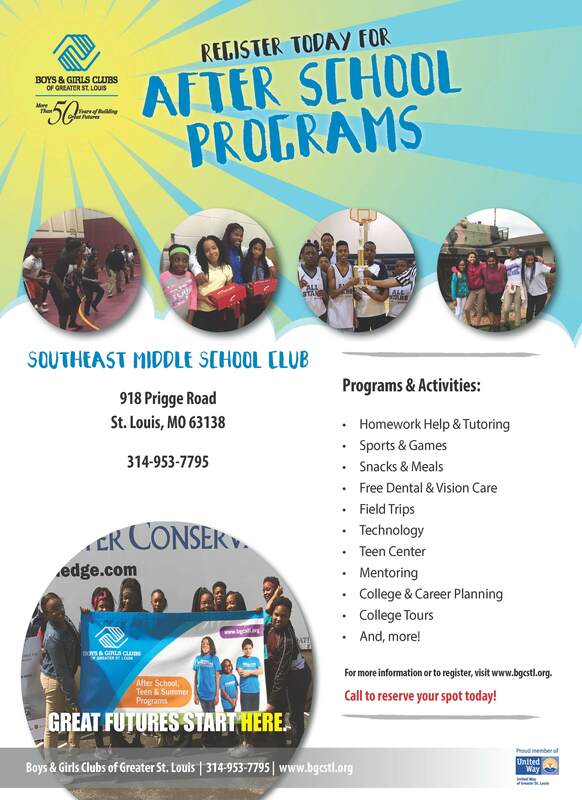 To view details on each Club see the flyers below. 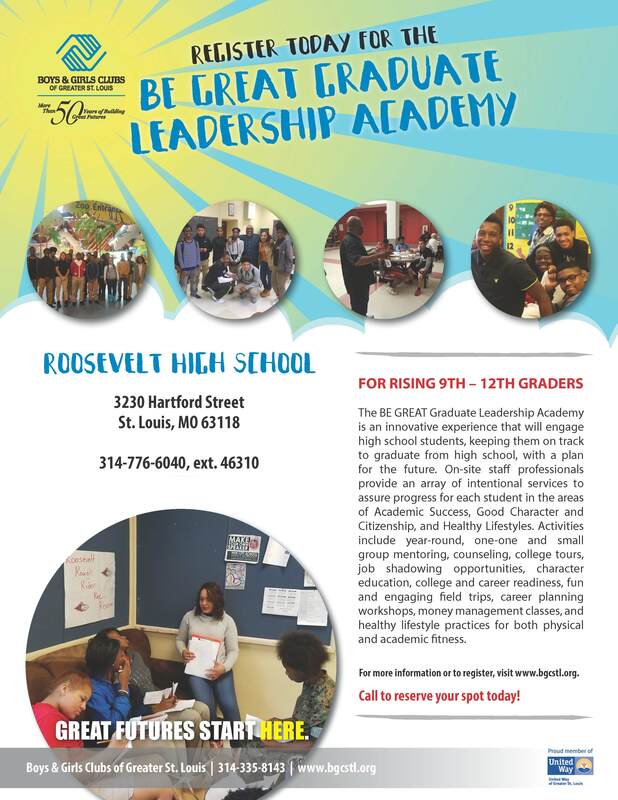 Programs in Character and Leadership Development empower youth to support and influence their Club and community, sustain meaningful relationships with others, develop a positive self-image, participate in the democratic process and respect their own and others’ cultural identities. For more information, click here. 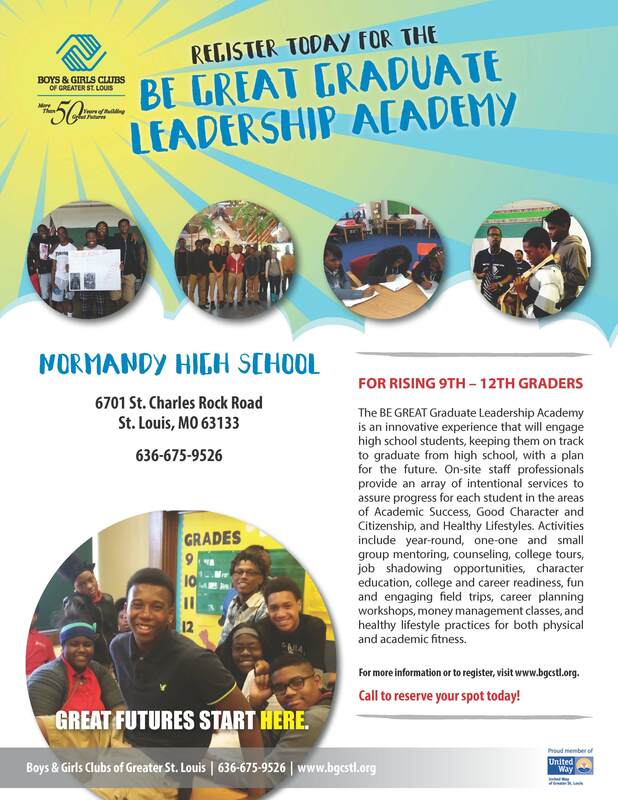 Programs in Education and Career Development enable youth to become proficient in basic educational disciplines, apply learning to everyday situations and embrace technology to achieve success in a career. For more information, click here. 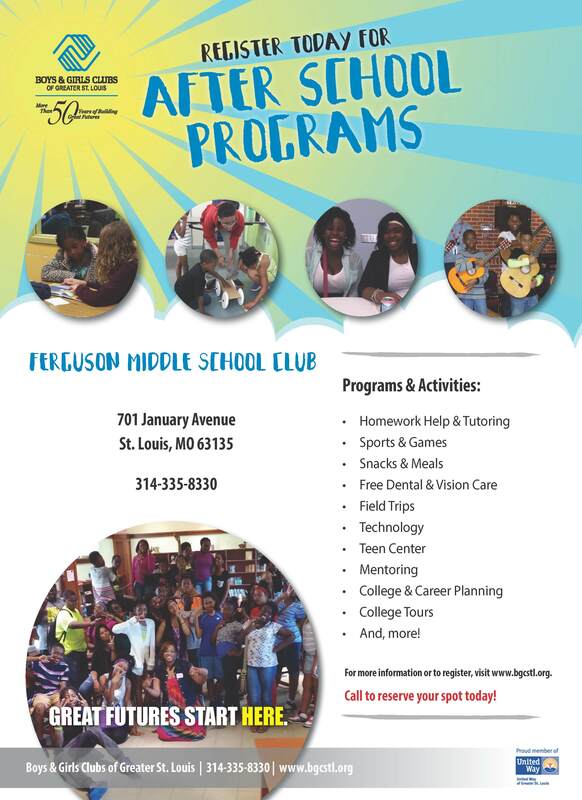 Programs in Health and Life Skills develop young people’s capacity to engage in positive behaviors that nurture their own well-being, set personal goals and live successfully as self-sufficient adults. For more information, click here. 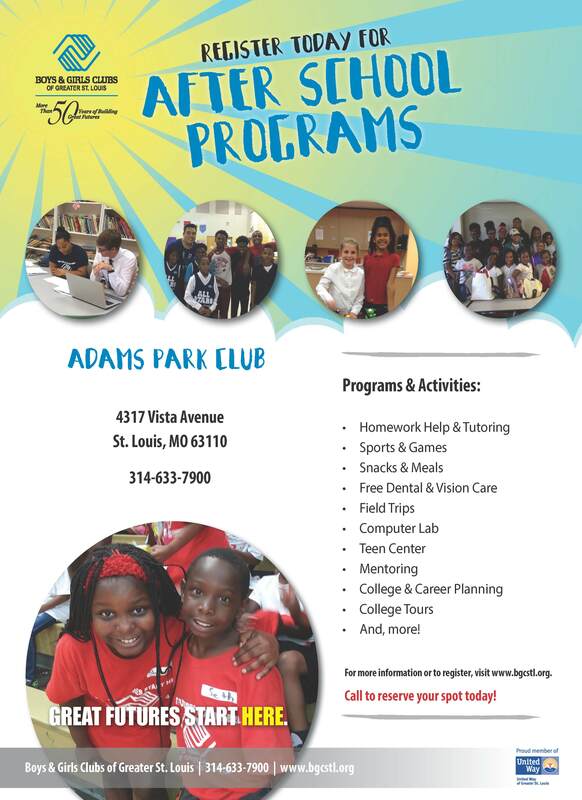 Programs in The Arts enable youth to develop their creativity and cultural awareness through knowledge and appreciation of the visual arts, crafts, performing arts and creative writing. For more information, click here. 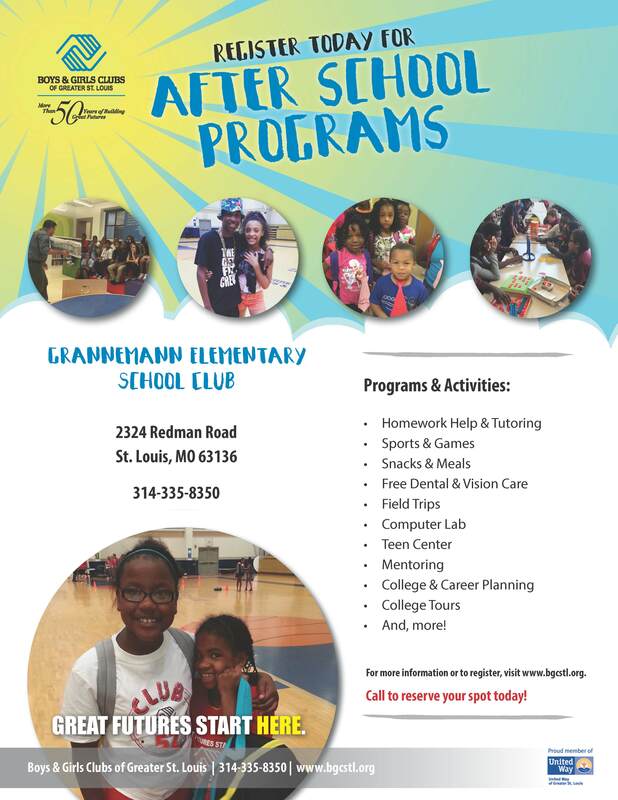 Programs in Sports, Fitness and Recreation develop fitness, positive use of leisure time, skills for stress management, appreciation for the environment and social skills. For more information, click here.